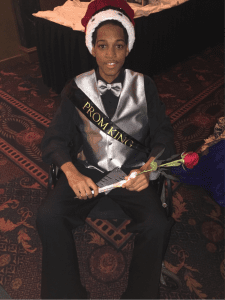 Lionel, one of the patients we serve at Cincinnati Children’s Hospital, celebrating his prom night. Family Reach is thrilled to announce that we’ve received a $50,000 CVS Health Community Grant, as part of CVS Health’s commitment to building healthier communities. The support from CVS Health will fund the Family Relief Direct Assistance Program at Cincinnati Children’s Hospital to provide financial support and education to families who have a child or young adult in active cancer treatment and are experiencing financial hardship. Cancer patients are 2.65 times more likely to go bankrupt than people without cancer. In addition, 46 percent of cancer patients cut back on basic necessities like food and clothing to pay for cancer care, with some skipping medication to save money. We are a national nonprofit dedicated to alleviating the financial burden of cancer for qualified families in need. For more than two decades, Family Reach has helped families pay the everyday bills – rent, groceries, gas and more – that quickly become overwhelming in the face of treatment. With the recent announcement of the Cincinnati Children’s Hospital Proton Therapy Center, an innovative therapy that typically requires treatment five days a week for six to eight weeks, many families saw a dramatic increase in financial hardships due to travel costs, reduction in parental employment and relocation costs. With support from the CVS Health Community Grant, Family Reach will enable continued access to care through the hospital’s Family Relief Direct Assistance Program, improving overall adherence to treatment plans and ultimately impacting a patient’s survival by removing financial barriers and allowing families to focus on getting well. Thank you, CVS Health, for awarding us a Community Grant to help fund this innovative program at Cincinnati Children’s Hospital. With your support, we’re enabling continued access to care, improving overall adherence to treatment plans and ultimately impacting a patient’s survival by removing financial barriers.